GALENA–The Kiwanis Club of Galena is busy planning this year’s Fourth of July celebration. The annual parade will be held this year starting at 6 p.m. The club is currently looking for parade entries from businesses, clubs, groups or individuals. There will be prizes for best float from a business, best use of theme and judges’ choice. The Dubuque Colt Cadets will be marching in the parade and will give a short concert after the parade in front of the post office. There will be food and beverages for sale and music all evening long. Dr. Mark and the Sutures will be the featured band, playing favorites of the Beatles and that era. To participate in the parade, fill out the parade entry form that appears in this week’s Gazette, or click on the Kiwanis ad at galenagazette.com. 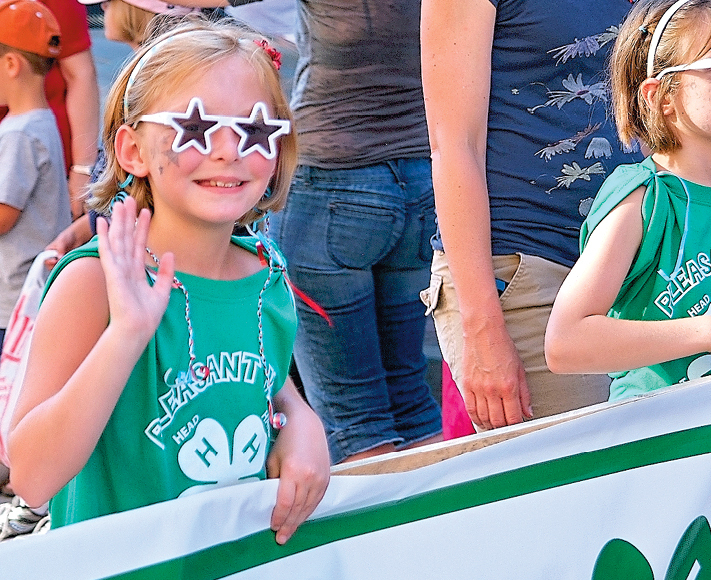 The Kiwanis Club of Galena annually spends over $10,000 on the Fourth of July festivities. To donate to this year’s celebration, send a check to Kiwanis Club of Galena, c/o Ty Cocagne, treasurer, 12A279 Lincoln Court, Apple River, IL 61001. For further information, contact club president Dave Duff at 815-776-0225 or vice president Sarah Newton at 815-777-1765.